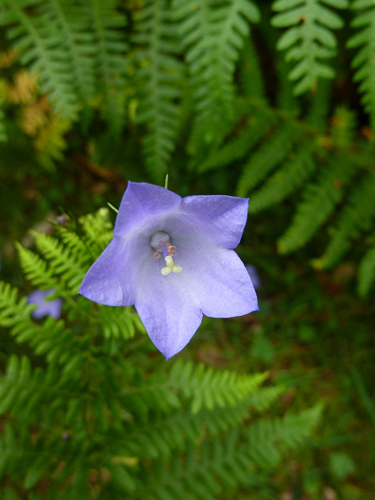 A pretty harebell, one of my favourite wildflowers. The wonderful colour of this simple flower blows me away every time. 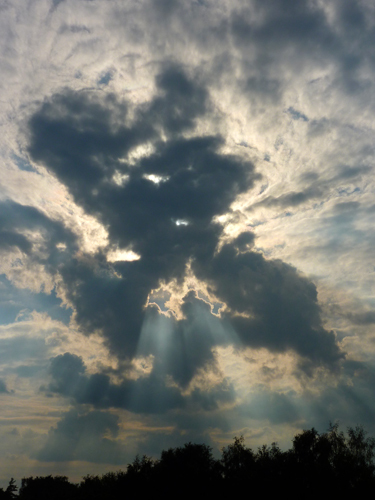 The clouds this evening are creating such a fantastic lightshow with the sun behind. 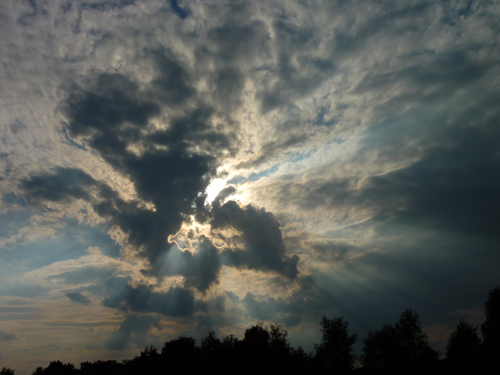 The crepascular rays intensify as the cloud hides the sun. 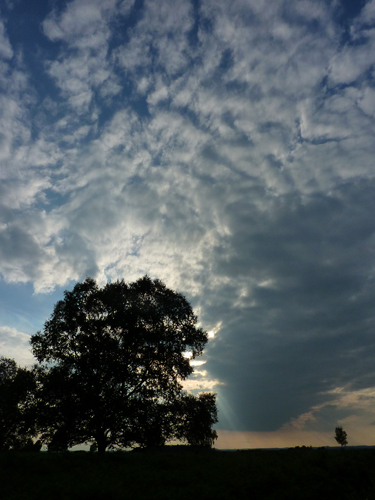 One of the fine birch trees on the Common hides the sun and shows off the wonderful array of clouds. Ever got the sense that you’re being watched? I did, and looked around. 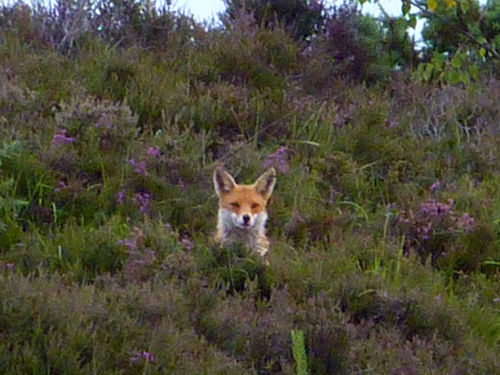 Suddenly, I spied this pretty little fox up on the hillside, keeping an eye on my every move. A bit grainy owing to the distance! 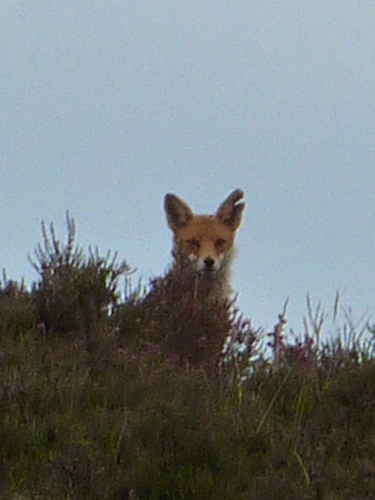 Foxy decided that my photographing him (or her) was a little invasive and trotted further up to the skyline, but then turned to watch again from a safer vantage point. A very split ear shows against the light. 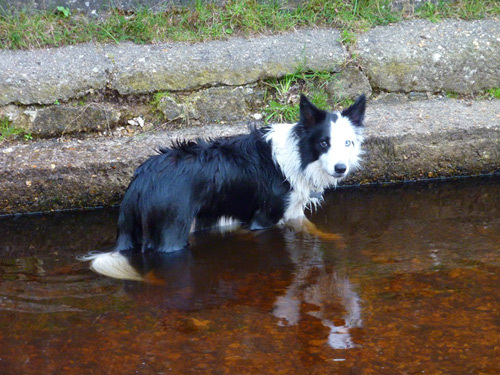 It’s a warm evening and Harry cools off in Dockens Water by the ford at Moyles Court when we return to the car.